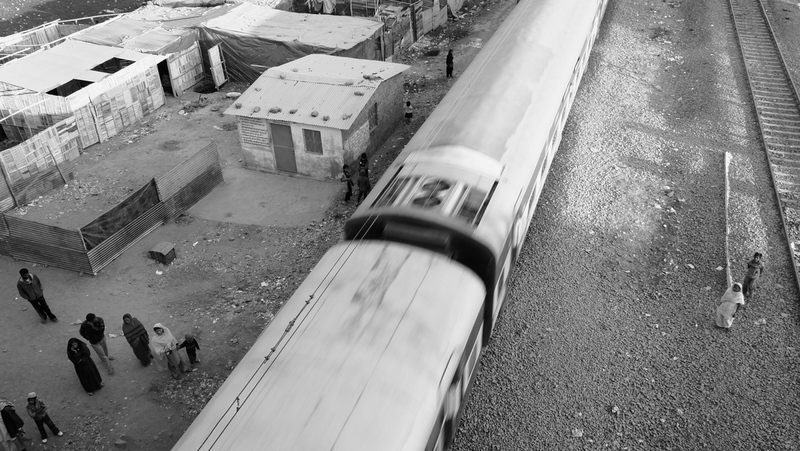 Locals from the neighboring slums wait to access the other side of the tracks. Locals wait for the train to pass so they can access other parts of the Navi Jivan Colony. New Bhanpur Road Bridge was just completed as I arrived in Bhopal, but the bridge is inaccessible to locals unless they walk a much greater distance to access it, if they have carts or heavy bags. No facility has ever been put in place to accommodate them.